As a part of finals week, Campbell students got free Cookout. Yes, I said free! Some people lined up outside the door 2-3 hours ahead of the 8 o’clock go time. Despite rain looming and a few sprinkles here and there, students didn’t budge. Cookout is what they wanted and Cookout is what they would have. The line of students wrapped down one side of Cookout’s building and all the way across the parking lot to the furniture store. Flashcards, textbooks, and study guides were being poured over as they waited for the doors to open. As rain began to fall, umbrellas went up but no one moved. Some grumbles were heard about how they were hungry, or oh no it is raining, or that the wait was so long, but that was quickly followed by “BUT it’s Cookout!” That said it all. Hats off to Cookout too. They handled the swarm of camels like a champ serving over 100 students in around 20 minutes, with more still lining up! Talk about service. All in all, it was a great study break for many and free food is always great! Just remember, if you need a study break but you don’t feel like you can be pulled away from studying, it’s Cookout! Go for it. Happy studying ya’ll. Author pineburronlinePosted on April 29, 2014 Categories A Look Back, Campbell StoriesTags college, cookout, exams, finals, flashcards, free food, lines, rain, study, textbooksLeave a comment on But it’s Cookout! 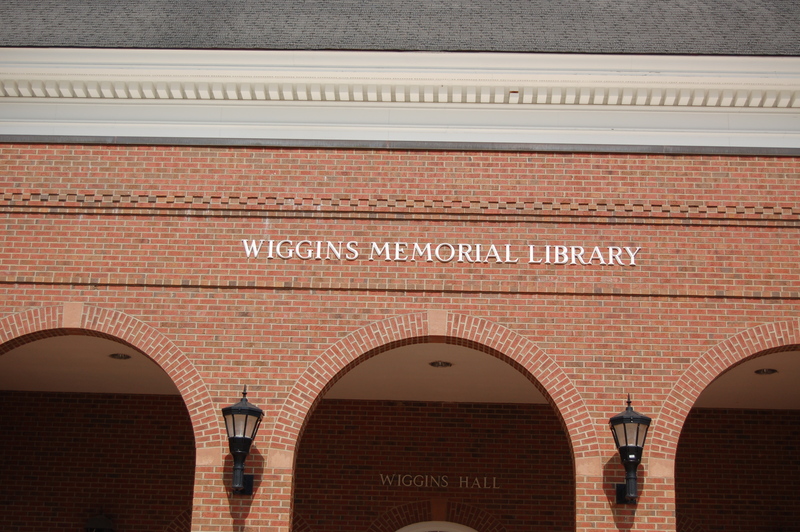 Last week was completely filled with fun and activities at Wiggins Memorial Library. April 7-11, 2014 was National Library Week and the library staff at Campbell definitely made the week exciting. Monday was the edible book festival where students and faculty submitted food that represented a book. There were many winners of the decorations such as best classic book, best in show, and best childrens book. On Tuesday was the crafts with books event where the library provided discarded books to make origami flowers or use modge podge to cover a picture frame with parts from books. Also, they explained how to hollow out a book so that it would have a place in it for trinkets. On Wednesday was the poetry jam for students to read favorite poetry or show off what they had written for contests. There were also popular poetry books that students could win such as Beowulf, stories by Shel Silverstein, and other collections of poets. Thursday, students could get advice for how to be a librarian or tips for getting a job anywhere. On Friday, anyone could go to the third floor and have fun playing games whether it was on the wii or classic board games like Pictionary. That night, was trivia night and the team of librarians came out on top with the win. There were four teams, one consisted of all librarians and they came in first. 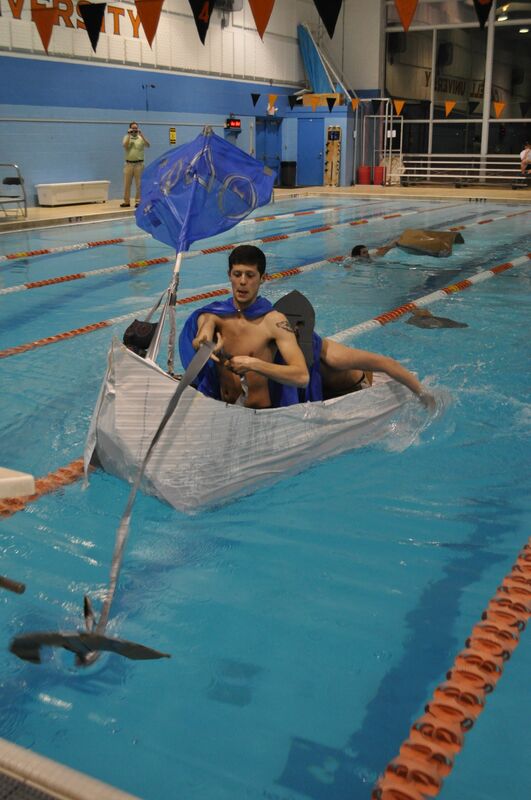 However, they did not receive a prize and the prizes went to the three remaining teams. All week long students received grace for fines if they donated books, dvds, or cds. They could also participated in a scavenger hunt that had clues hidden all around the library and even a clue in the business library. There were two winners, who both received a $25 gift card to Barnes and Noble. The week was full of fun and appreciation for literature. Last week held a great many zombies on campus, and no I don’t mean sleep deprived students. There were literal zombies. Why? Because it was Zombie themed week here on campus. CAB hosted several events from Spring Fling where students volunteered their time to put smiles on developmentally disabled adults faces to a zombie carnival complete with funnel cake, rides, and games. The week ended on a less than dead note with a Great Gatsby themed formal in Garner. There were tons of flapper dresses, feathers, and glitz at the event where students danced the night away. Thank you CAB for a great week of fun! We hope you joined in on the festivities and are feeling a little more “alive” this week! Author pineburronlinePosted on March 24, 2014 March 24, 2014 Categories A Look Back, Campbell StoriesTags activities, CAB, college, dancing, events, formal, Great Gatsby, volunteer, zombiesLeave a comment on Dead or Alive? It was freezing last night; however, there were students wearing leis, shorts, tank tops, and sunglasses. Why? 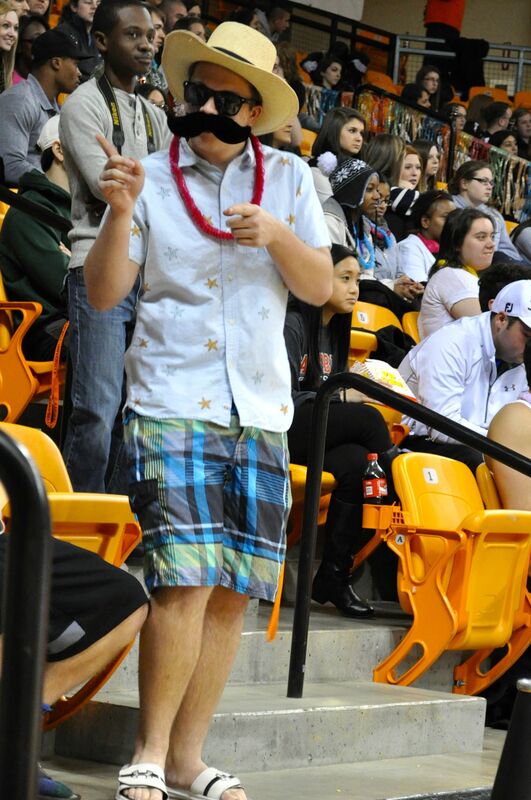 Because it was beach night at the men’s basketball game. One lucky winner even won an all expense paid trip to Myrtle Beach! Wow! 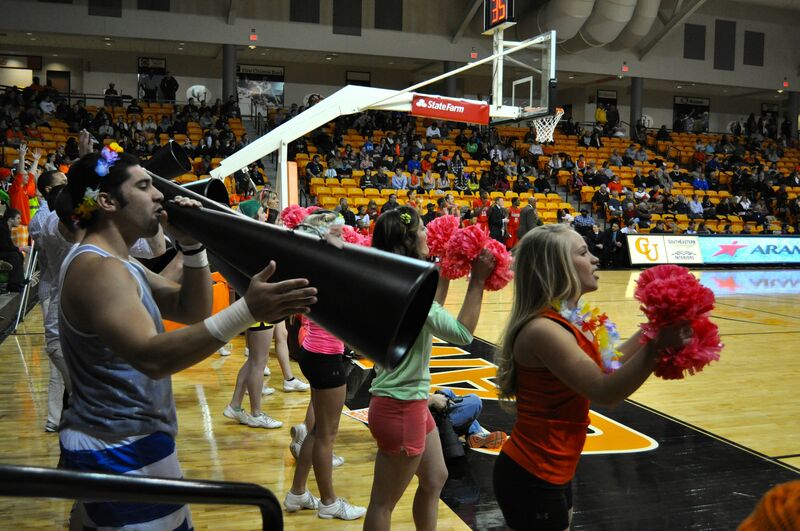 Last night’s game wasn’t just special because of the theme, it was also a win for the Camels, putting them first in the North Division!! 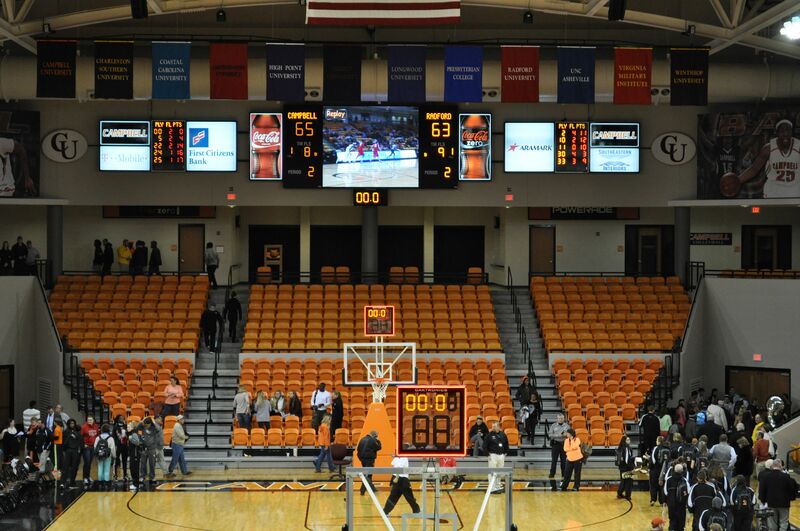 With a score of 65-63, the Fighting Camels beat Radford after a close game. Not only that, but Reco McCarter’s 360 dunk made headlines on Sportscenter. How great is that? If you didn’t go to the game last night, you missed out on a fun time, but at least you didn’t get odd looks for inappropriately dress in January.